Hej vänner! I hope you had a fantastiska weekend? Not sure where this Swenglish is coming from but I promise to stop right now. 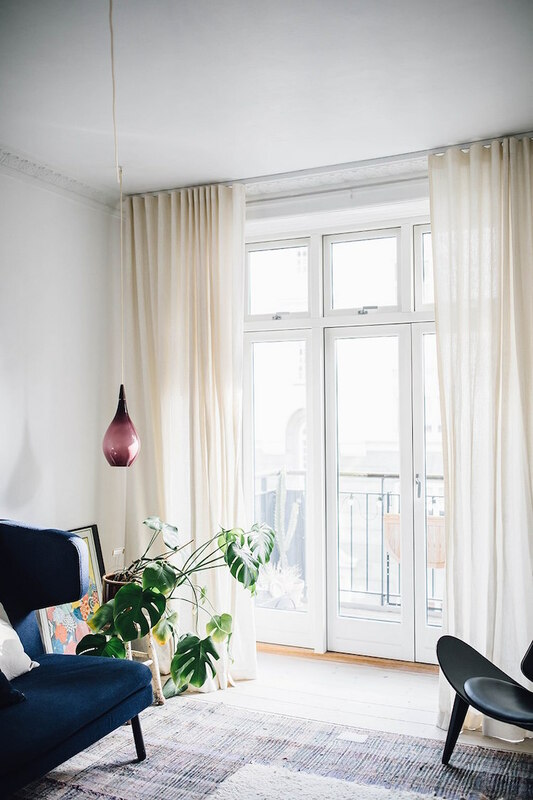 Besides, I'm whisking you off on a virtual visit to Copenhagen today and the wonderful home of Kate Imogen Wood - so it's the wrong language anyway! 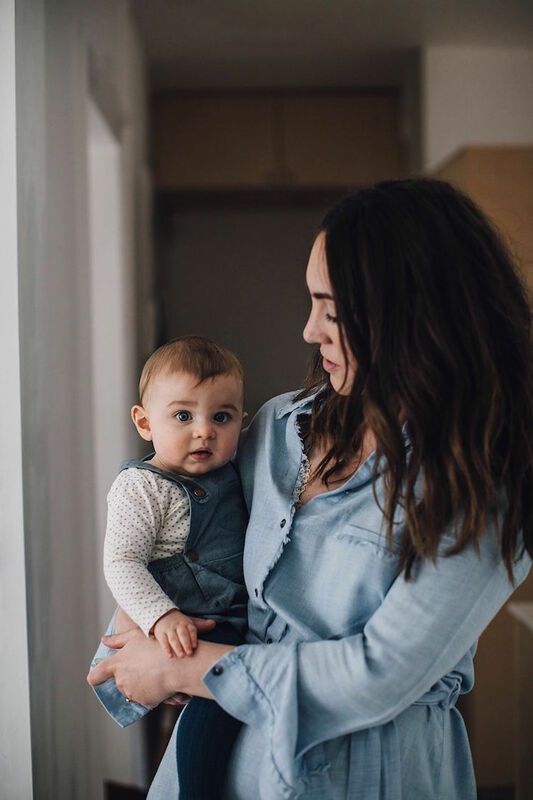 Originally from the Lake District, England, Kate is a stylist and creative consultant living with her husband Ben and son Damon (very cute baby alert!). 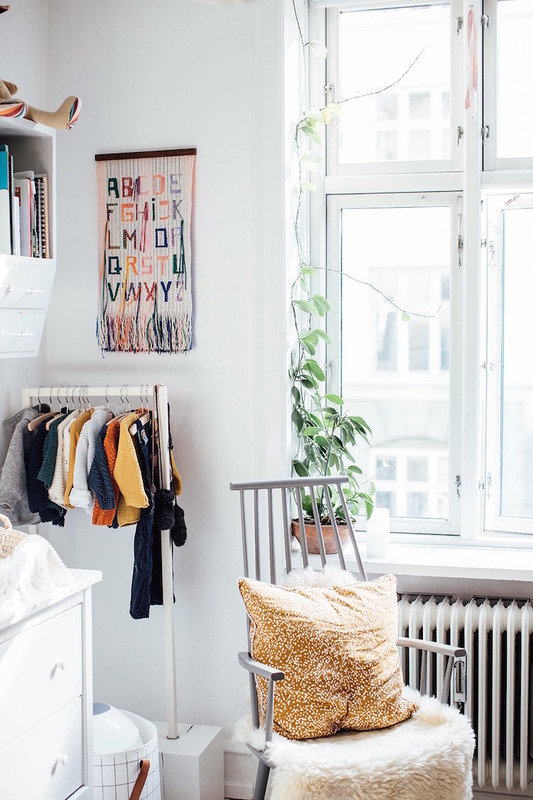 Think Danish boho meets Berlin cool in a two bedroom apartment full of unique vintage finds, beautiful Nordic pieces and personal touches. 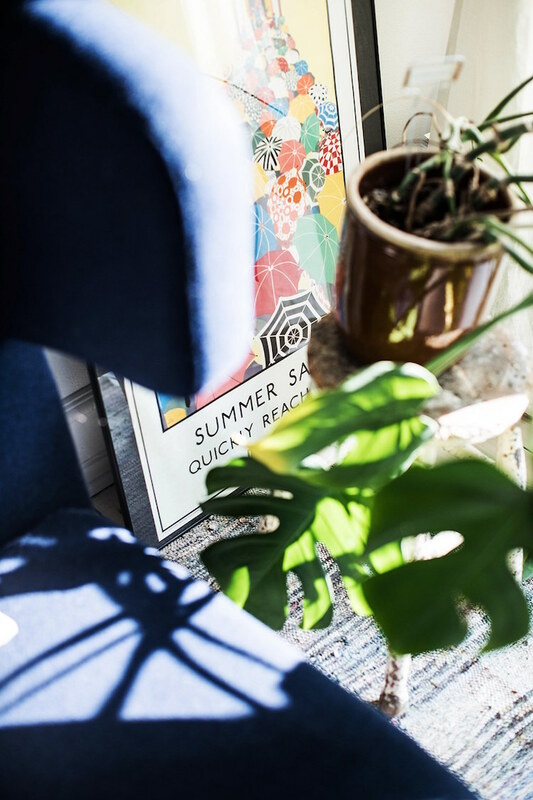 Laura and Nora of Design Tales snapped these lovely pictures the last time they were in the city. Enjoy the tour! I love how part of the paint has been peeled away in the kitchen to reveal layers of colour from yesteryear! 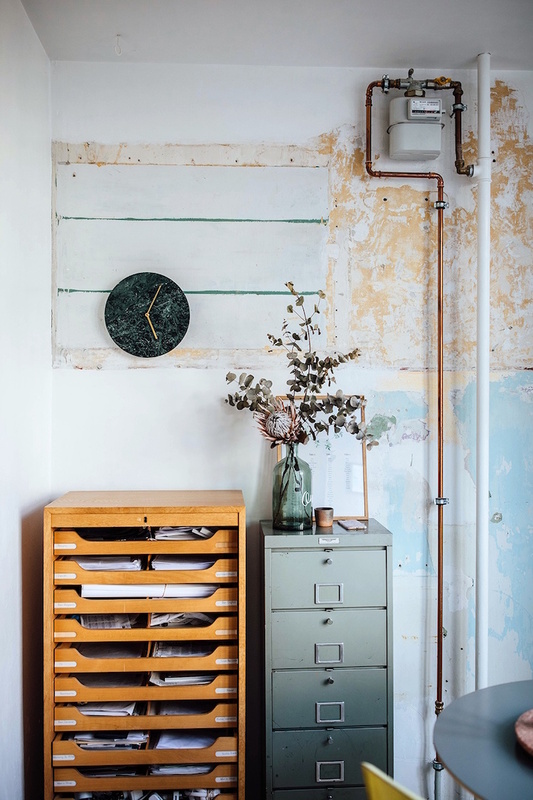 Vintage filing cabinets (source beautiful ones here) instead of traditional kitchen storage also adds character. 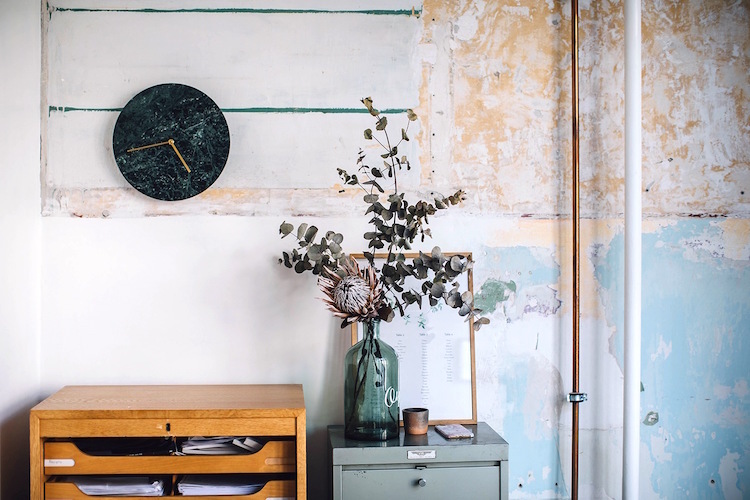 This fine specimen of a Menu Marble Wall Clock is by Norm Architects. Protea (the flower seen to the right) is an interior-lovers best friend since it looks beautiful fresh and just as pretty dried! I still have one kicking about from a photo shoot a year ago and still love it today! 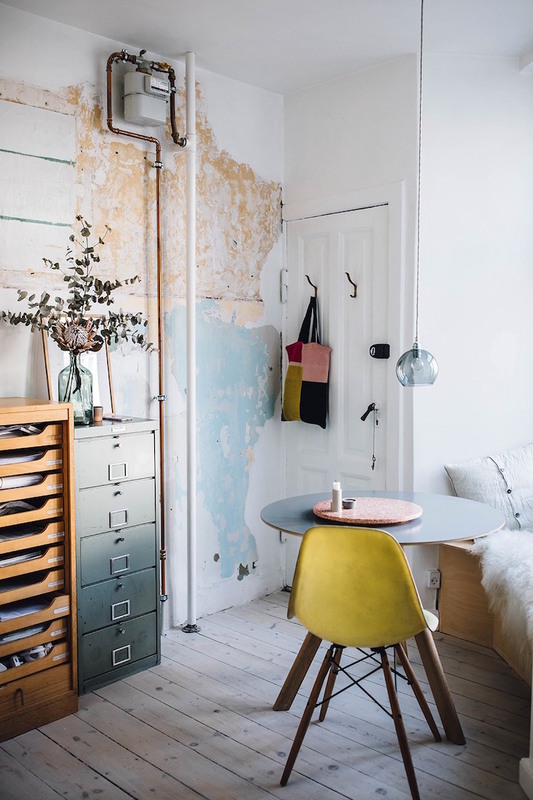 The family have carved out a dining space for three in the smallest of spaces with the help of a cosy window nook, Copenhague table and zingy yellow Eames chair. 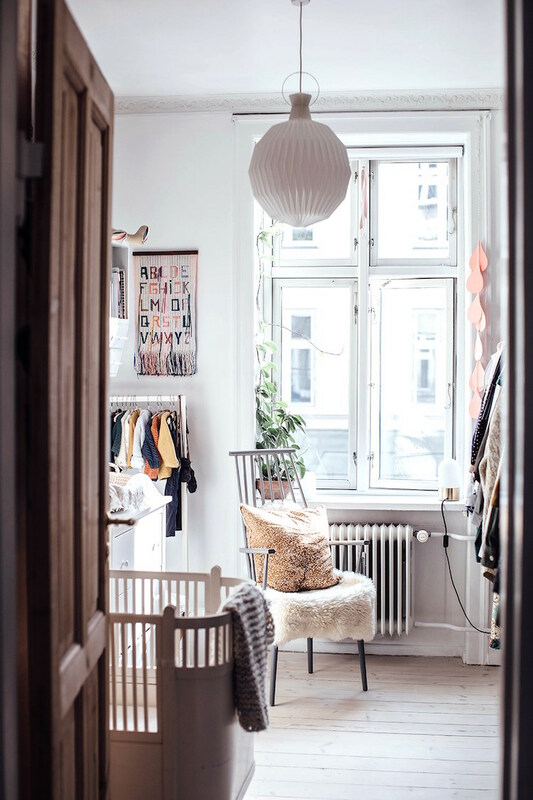 Layering rugs is a popular replacement for wall-to-wall carpets in Scandinavia - especially when you little ones like the adorable Damon crawling around / playing on the floor. These vintage Moroccan ones are particularly beautiful (source similar here). And just how fabulous is that sofa? Anyone know anything about it? If so, please put us out of our misery in the comment section below! 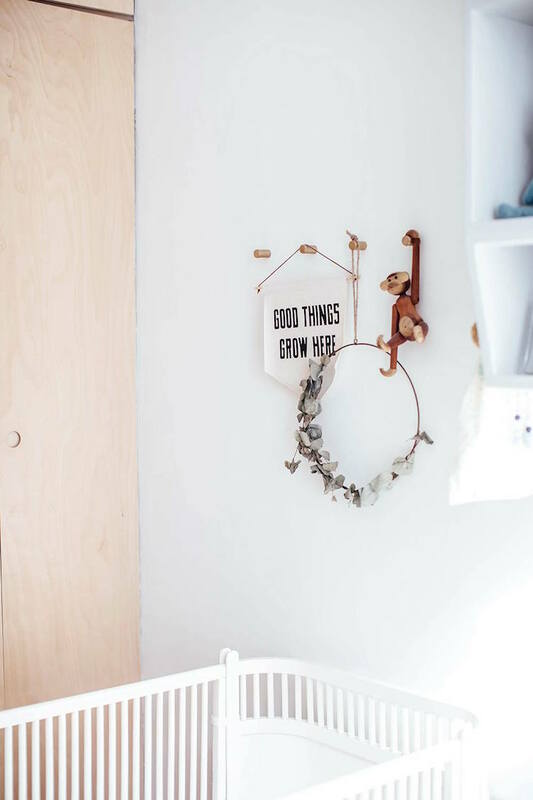 How charming is this vintage shelving? 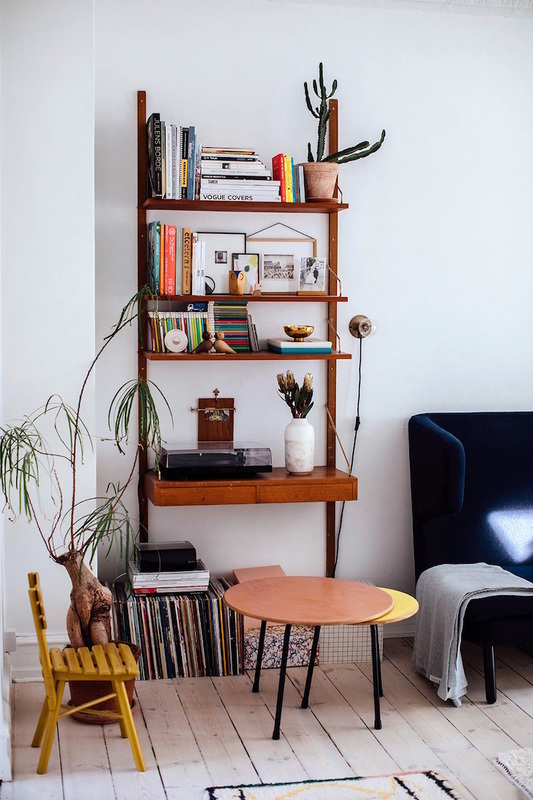 And such a perfect spot for books, vinyls, photos and other knick knacks. 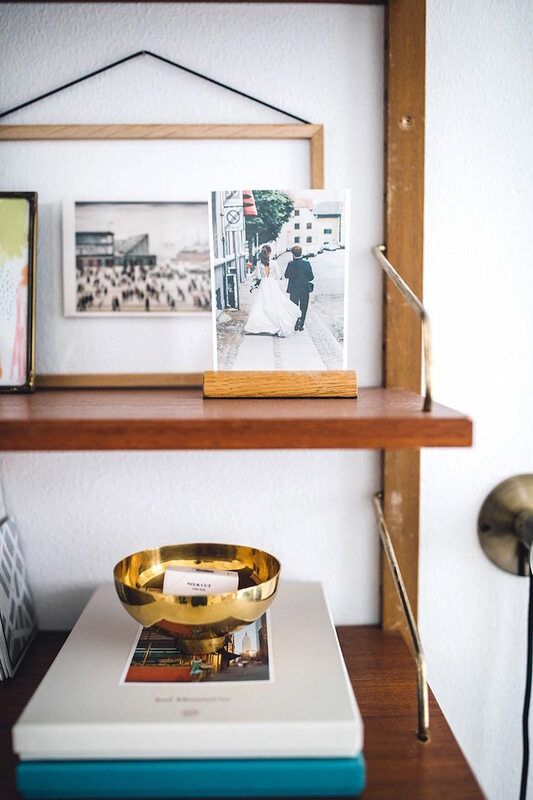 The Frama shelf library is similar (just in case you can't find a vintage one like this!). 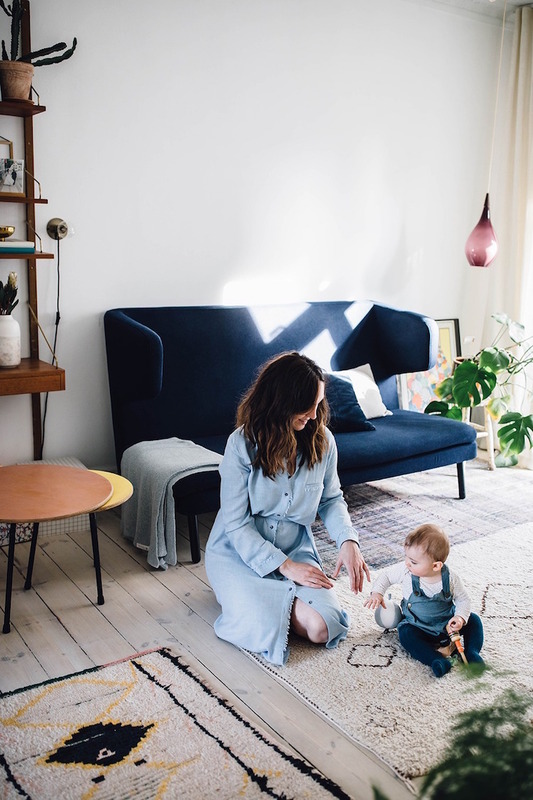 In interviews for my lagom book, I'm often being asked about how to create a balanced, sleep-inducing bedroom and many of the factors in Kate and Ben's room are spot on. 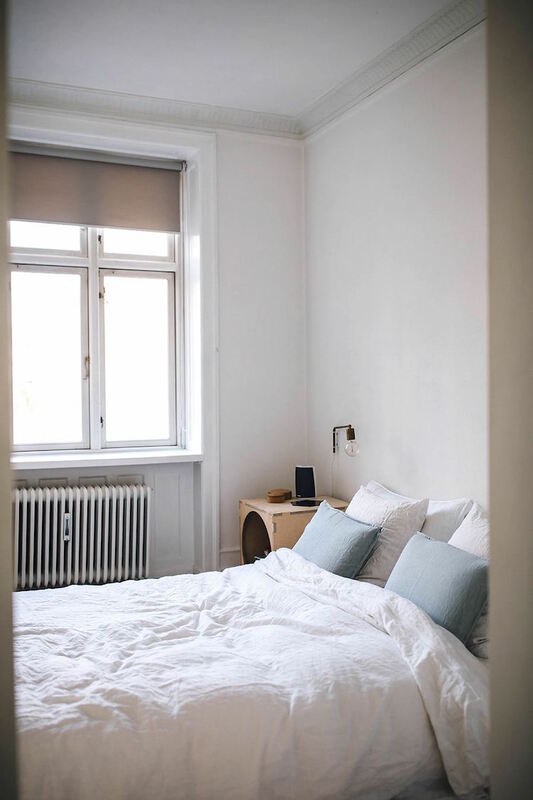 It's simple and calm with lots of natural textures (this white linen bedding and pale blue pillow case is similar) and there's a black out blind waiting to be unleashed! Damon's room is adorable. What it lacks in square feet, it makes up for in total charm! All photography © Design Tales. What a wonderful home, and just how adorable is Damon?! Is there anything that stood out to you about this home? 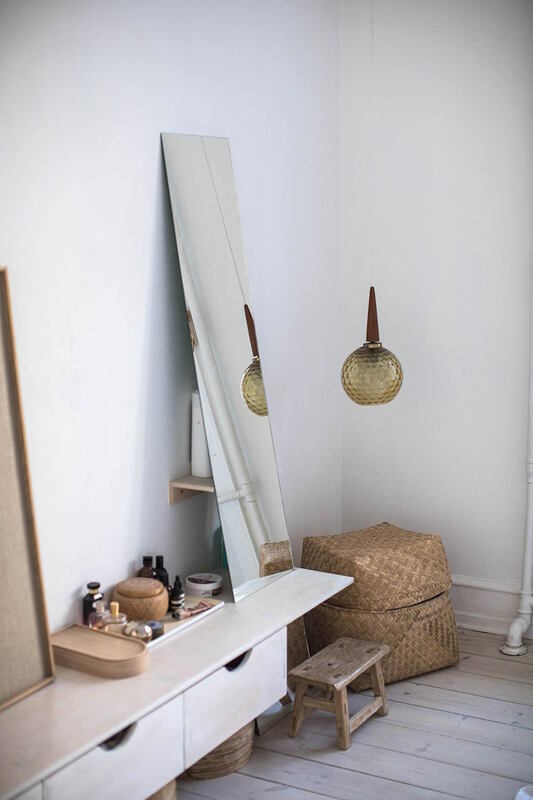 Thank you so much to Laura and Nora (see their home and studio) for the kind permission to share these lovely images. 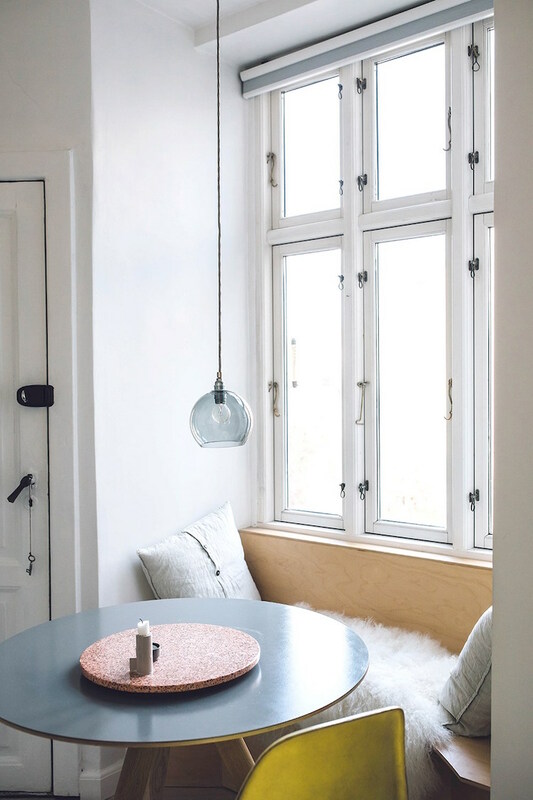 You can read the full interview and see more snaps here - and follow Kate's latest projects and snapshots from family life in Copenhagen here. PS More delightful Danish homes here, here and here! PPS The Russian version of my lagom book launched this weekend and is now available here - so exciting! Who would have thought?! You can see a list of all available languages here. I like this beautiful designs. Thanks for sharing with us. 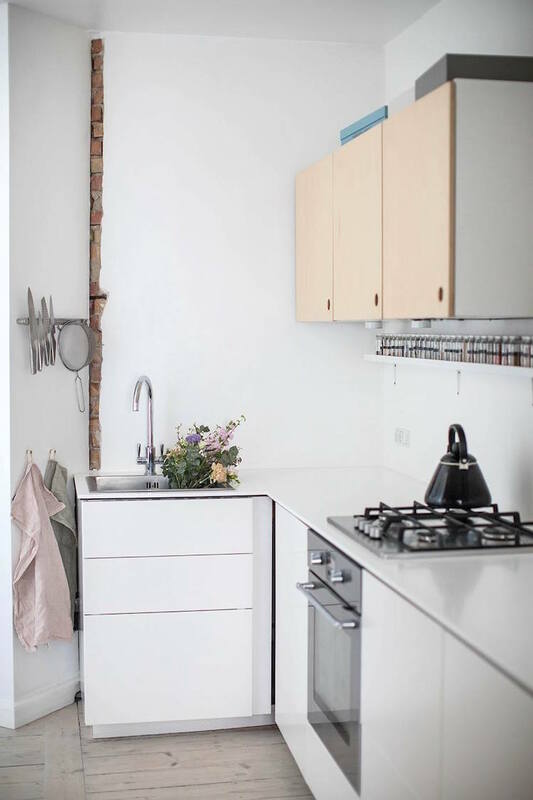 Peeled paint in the kitchen looks great but I like whole apartment.